The book Train For Top Dollar now available from Healthy Learning Publications! Published on August 28, 2009 in Uncategorized. 2630 Commentshttp%3A%2F%2Ftrainfortopdollar.com%2Fthe-book-train-for-top-dollar-now-available-from-healthy-learning-publications.htmlThe+book+Train+For+Top+Dollar+now+available+from+Healthy+Learning+Publications%212009-08-29+04%3A47%3A19Ben+Greenfieldhttp%3A%2F%2Fwww.trainfortopdollar.com%2Ftrainfortopdollar%2F%3Fp%3D263 Tags: dietary supplement industry, fitness business book, how to make your own fitness e-books and dvd's, nutritional consulting career, online personal training, personal trainers' guide to earning top dollar, personal training career, personal training dvd, personal training ebook, physician referral. Ready to get Ben Greenfield’s brand new fitness business book mailed to your front doorstep? 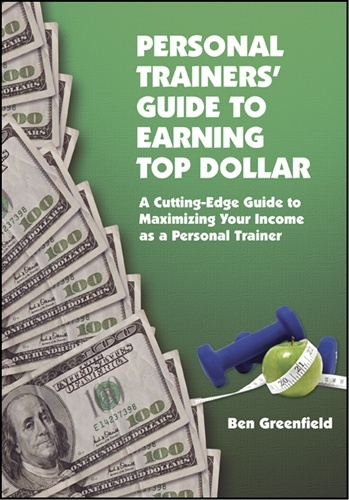 Healthy Learning publications has just released Train For Top Dollar as a new book, entitled “The Personal Trainers’ Guide to Earning Top Dollar”! You can get your copy today by clicking here to visit their website. 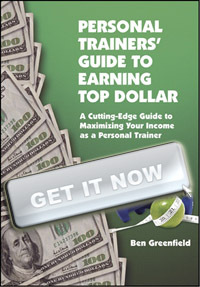 Recognizing that multiple income streams are key to success in the fitness business, the “The Personal Trainers’ Guide to Earning Top Dollar” identifies those streams and provides instruction on how to command your income.